Are they the future of classic car ownership, or are they harbingers of the hobby’s demise? Are they unfair, or do they actually level the playing field? Should you beat them or join them? 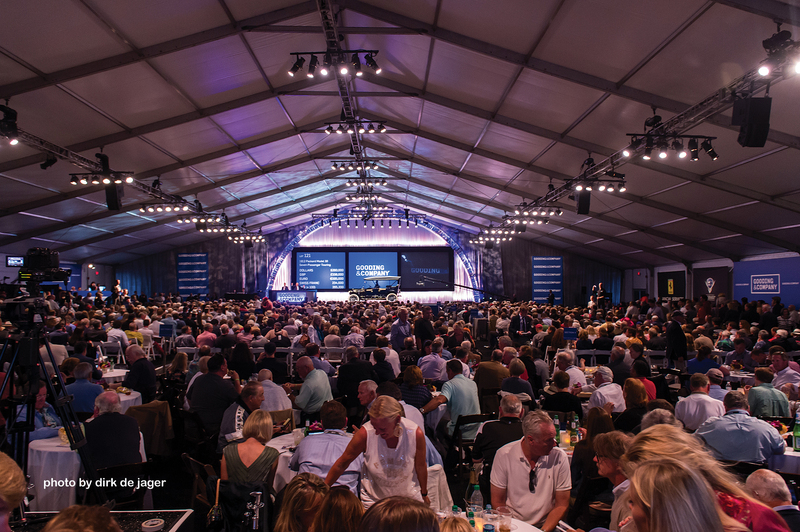 For better or for worse, classic car investment groups are an established presence at today’s auctions. Their basic strategy is easy to grasp: Pool money, buy a top classic car at auction, allow the car to rise in value, sell the car, split the profit. What’s less clear is how these groups are influencing the market–and even the hobby as a whole. Some people blame them directly for the recent escalation of hammer prices on rare Ferrari and Mercedes-Benz classics. Others say they’re just one of several factors pushing values toward the stratosphere. Whatever the case, it’s important to know who these new players are, why they’re here, what they’re buying, and how they may affect other bidders. 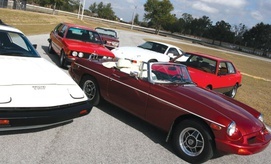 Classic car investment groups can take many different forms. In the past, they typically consisted of a few wealthy partners who pooled their funds to buy a blue-chip Ferrari, Cobra or Maserati. These days, they’re not just for a handful of rich folks. Professional financial entities like the Historic Auto Group, Ultimate Classic Car Fund and HedgeCo.Net are attracting investors looking for alternatives to low-yield CDs and a lethargic stock market. Car lover and Pink Floyd drummer Nick Mason is even involved in one. It’s not surprising that classic autos are a hot commodity for investors–especially compared to those tepid traditional avenues. “Over the past decade,” writes CNN’s Susan Ott in a September 2013 article, “the average value of classic cars has risen by 430 percent, according to Knight Frank’s Luxury Investment Index. This compares to 273 percent for gold and a comparatively meager 55 percent for the FTSE 100 over the same time period.” Plus, classic cars have had a better five-year rate of return than CDs and all precious metals. Articles in Forbes, Kiplinger, Wealth Daily and the New York Times also helped fuel the growth of classic car investment groups. There’s even the Dow Jones Investment-Car Index, which suggests which cars to buy, sell and hold. 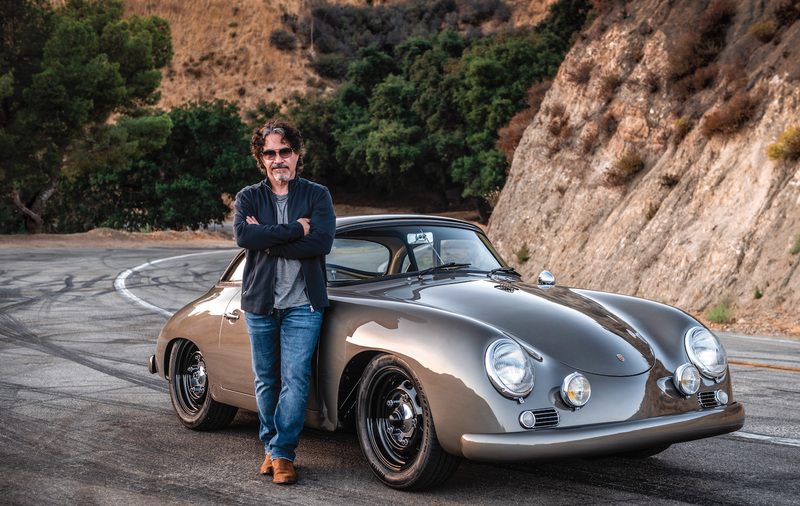 So yes, potential profit is certainly part of the answer, but there is much more to the story: Classic car design has finally become recognized as a true art form. While enthusiasts have always regarded shapely Ferraris, Bugattis and Delahayes as works of art, this notion did not gain universal acceptance until just recently. Exhibits like 2007’s “Curves of Steel,” which displayed some of the world’s greatest car designs in an art museum setting, helped elevate many classic cars to fine art status. When it became as fashionable to own a Ferrari as a Picasso, the market transformed. Those who’d always wanted a vintage Lancia or Aston Martin in their garage now had the perfect excuse. The only difference: This art could be driven to lovely places like Pebble Beach and Scottsdale. Rare classic cars have apparently become the practical, fun-to-own alter- native to other art forms. As you might suspect, the rarest and most expensive classic cars listed in the Hagerty Price Guide indexes have experienced passporttransport.com the greatest price gains over the last five years. This is the segment that classic car investment groups and hedge funds seem to be targeting. The Index of German Cars showed a value increase of more than 240 percent over the last half-decade. The Index of Ferraris revealed that values grew over 373 percent during that same period, per the Hagerty Price Guide 22. At the moment, rare racing Ferraris are the hot ticket. However, the rising tide of blue-chip classic cars has also lifted the values of other rare Ferrari, Lancia, Mercedes-Benz and Aston Martin sports cars. Some of the cars behind that amazing surge in Ferrari values were sold at the Monterey auctions in August 2014. Bonhams sold a 1962 GTO Berlinetta for $38 million. RM Auctions sold a 1962 275 GTB/Special for $26 million. Gooding & Company sold a 1961 GT California Special for $15 million. Let those figures sink in for a minute. How Do They Affect You at Auctions? If you have loads of money and a far better understanding of economics, stocks, precious metals and fine art than we do, feel free to bid on the blue-chip cars that investment groups are targeting. While you’re at it, you might as well bid on the televised lots during prime time to take on the Internet buyers, too. Otherwise, you’d be smart to look for other cars to buy at auction. While these investment groups work out fine for many people, purchasing any classic car should be viewed as a risk. These machines are more liquid than they have been, but they’re still not as liquid as CDs, stocks, bonds or precious metals. For most enthusiasts, owning a classic sports car means driving and enjoying it, not flipping it for a quick profit. Therefore, purchase one you can afford to keep healthy and on the road. If you make more memories than money, you will be all the richer for the experience. It's hard for me to see the "investment groups" as anyhing but a negative from an enthusiast standpoint. It isn't even about the cars, it doesn't matter what they are, becuase they have just become another instrument to transfer waelth around. They can't be used as cars at that point, so they basically cease to exist. I wonder when the bottom is going to fall out of that market, it has to be coming in the next decade-ish. There are certain cars, like Carrol Shelby's personal Super Snake and GT-40 P 1015 Mk. II (also J5 and GT40P/1075 ), which will hold their values simply due to their history. I'm not sure that buyers will give a damn about a 68 'cuda which was 1 of 68 in a given color combination after that time frame though. I remember a story from the 1980's of Ferrari values going way up because of investors buying them...because their values were going way up. The real guy owner sold his car for around a million dollars because the money was just too good. About 3 years later the bubble burst, and he bought his car back for around $200,000. Prices should go up because of supply and desirability. Prices should Not go up because......prices are going up. And that's what investor groups do. Different field, similar concept: years before eBay and the internet changed(ruined) the antique business, someone went around buying up all the Griswold cast iron cookware they could find. Then they wrote and published a price guide for it, and profited off the results. Eventually the bottom fell out of that too, but largely because the internet proved how common many "rare" pieces actually were. I just don't like it when Non-enthusiasts get involved in anything just because they are looking to make a $. Then again, maybe I should sell "shares" of my Giulia and offer people the "hope" of a big return when I sell it, (I just wouldn't sell it). I could use the money from selling the shares to fix it up more an dmake it more "valuable" thus increasing the share price....and sell more shares! .....I may end up hanging out with Madoff, but free medical, meals, lodging, and if the prison has a good woodworking program, I'll still have something I like to do! Being a Poor SOB I can only Hope they Lose their Butts. When there is Only 1 Like the Salvitore Mundi That's 500 years old, an Investment Group Can't wait it out. When several have been Made It's Like Land .....They Just aren't Making anymore. Has zero affect on any part of the hobby I play in. Oct. 4, 2017 3:17 p.m.
"It's hard for me to see the "investment groups" as anyhing but a negative from an enthusiast standpoint. It isn't even about the cars, it doesn't matter what they are, becuase they have just become another instrument to transfer waelth around. They can't be used as cars at that point, so they basically cease to exist." " I just don't like it when Non-enthusiasts get involved in anything just because they are looking to make a $. " I feel the same way. But, there is a lot of discretionary money out there chasing after hobbys and play things. It seems to me that many people who can afford it really aren't into the car scene it is just another social scene to be connected with. Many of them go to events and don't even pay any attention to what is going on at the event. But I must admit, everybody has the right to spend their money where they want to. And even though the money has a tendency to willow out the market it also, because of the influx of cash, has helped to create an economy where everyone really has a chance to benefit from new products and services. The transfer of technology and quality of parts in the aftermarket is phenomenal today. Wait, if these investment groups are so popular, does that mean all classic cars are experiencing excellent appreciation? No. But there’s an easy way to see which ones are. The Hagerty Price Guide tracks values of individual makes and models as well as several indexes: Blue Chip, British Cars, Ferraris, American Muscle Cars, 1950s American Classics, and so on. The top cars in those indexes are the likely targets of investment groups.